The idea for Peace Puzzles was born a few years ago, when Gwen Whiteman and I were on our way home from a regional APCE workshop. As a winding road out of the Blue Ridge Mountains led us home to Raleigh, NC, our conversation turned to resources for children. Gwen lamented the fact that she had searched for 20 years for quality Bible story puzzles to use in teaching. She could find Noah’s Ark with its cute animals, but what about puzzles for other stories of faith? We agreed that the need for the tactile experience of a Bible story puzzle was important—especially in our digital world. “What if we made some Bible story puzzles ourselves?” we wondered aloud. With a few hours of driving and conversation ahead of us, Gwen and I let ourselves dream. We wanted wooden puzzles for durability and quality. The puzzle images should offer a significant art appreciation experience, with detail, vivid colors, and racial and gender diversity. The art would need to be faithful to scripture too. 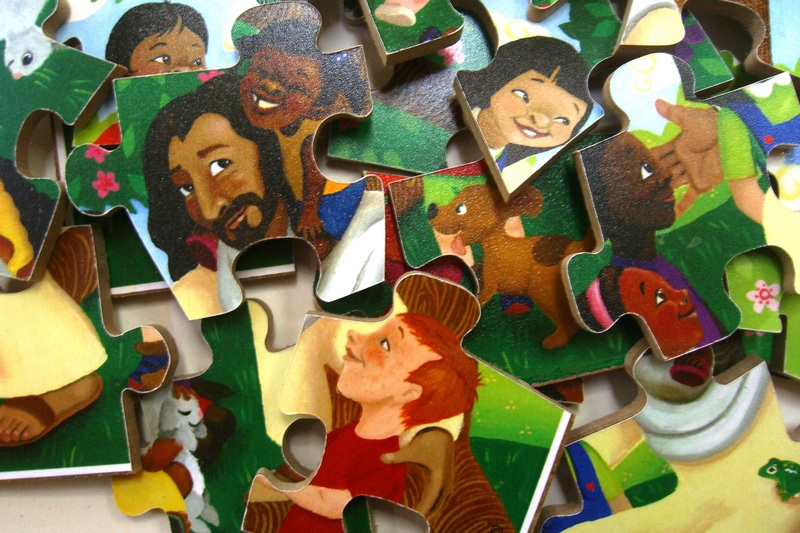 And as educators, we wanted to include the Bible story, a prayer, and simple reflection questions to encourage conversation between children and adults at the completion of a puzzle. Our dreaming continued after that car trip conversation. Gwen and I worked hard to make Peace Puzzles a reality. The ‘peace’ in our name is a word play on puzzle pieces, but also a guiding principle for how we conduct our business – with each other as partners, and with our customers. We received scroll saw power tools from supportive husbands that Christmas. It took several months of dedicated experimentation and practice to refine the puzzle-making process. Along the way, we had fun commissioning original art, created to our specifications for beauty, diversity and faithfulness to scripture. Fast-forward three years. Our puzzles have found their way to many churches and homes, and several church mission groups have taken them to far-away countries, to give to children who are thrilled with the new experience of putting a puzzle together! 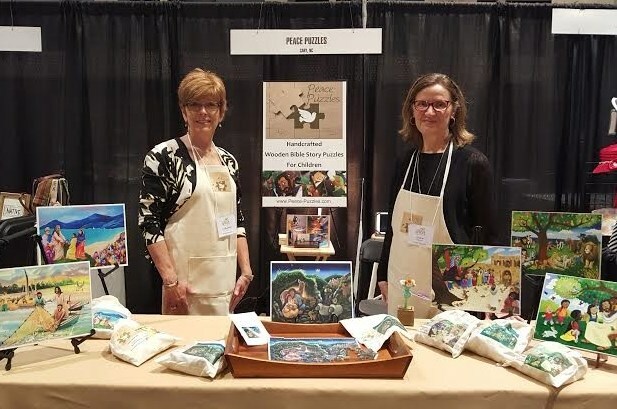 When Gwen and I tell others what is unique about our puzzles, we emphasize the opportunity for adults and children to share lively faith conversations about the puzzle art. What is going on in the story, what are the people feeling, what will happen next, and where do you see yourself in the puzzle image are questions we encourage puzzle partners to explore. We found support for our puzzle/shared conversation idea in the 2015 book, The Spiritual Child, by Lisa Miller (New York: St. Martins Press). 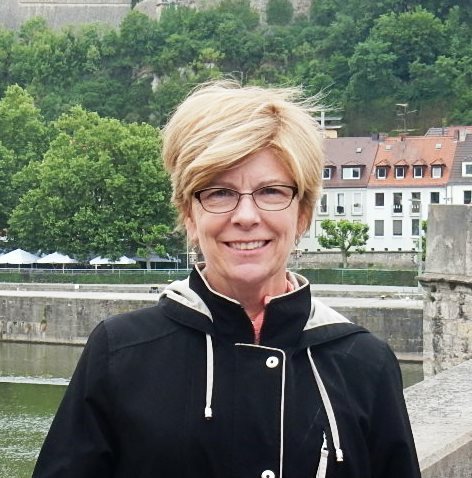 Miller provides research highlighting the importance of shared generational spirituality. All individuals are spiritual, Miller tells readers, and spirituality is vital for well-being. But greater protection against juvenile risk behavior and depression occurs when faith ideas are shared between a child and parent, grandparent, and/or other significant adults. Peace Puzzles offers one pathway for the intergenerational sharing experience. Making wooden Bible story puzzles to enrich the lives of children and their adults is our ministry. Important faith conversations that arise are not difficult, but they require the adult to be present with unconditional love and openness—the openness to be led by a child who has ideas about God, and by extension, to be led by God, who is always with us.